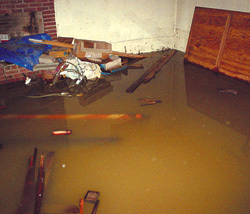 ← Floods can happen anywhere – are you prepared?? When your home is damaged as a result of a rainstorm, lightning storm, hail storm, tornado, hurricane, or other storm damages, call Rapid Recovery Service for quick, complete and professional assistance in restoring your home, reducing further damage, and minimizing losses. At Rapid Recovery Service, our Storm Damage Repairs Contractors can help in any level of storm damage situation from minor storm damage repairs to complete storm disaster restoration for your home. As certified insurance restoration claim specialists, we are fully licensed and qualified to help you achieve the insurance application process for your home’s storm damage repair. Give us a call today for fast and friendly storm damage restoration services. Rapid Recovery Service is a Storm Damage Repairs company that area homeowners have to come to rely on for quality insurance restoration and roofing damage repair services. With our experienced storm restoration contractors, you can rest easy knowing your home’s Storm Damage Repairs project is in good hands. All of our professionals are trained and skilled in the exterior remodeling, storm damage repair, and insurance restoration fields. Since day one our goal has been to provide local homeowners with Storm Damage Repairs services that are second to none. We will work with you every step along to way to ensure that you are truly happy with the finished project. 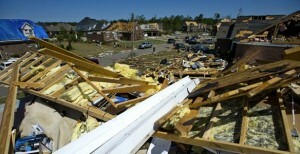 Call Rapid Recovery Service to speak with one a Storm Damage Repairs contractors today. You will quickly learn why Rapid Recovery Service has become a trusted roofing and exterior remodeling and restoration company!